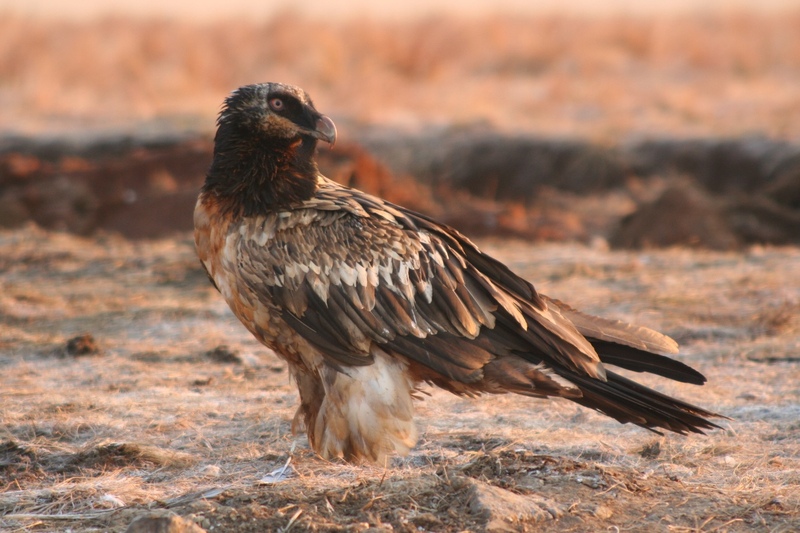 In southern Africa a drastic decline in the Bearded Vultures’ range and numbers during the past century has resulted in an isolated population that is restricted to the Maloti-Drakensberg Mountains. 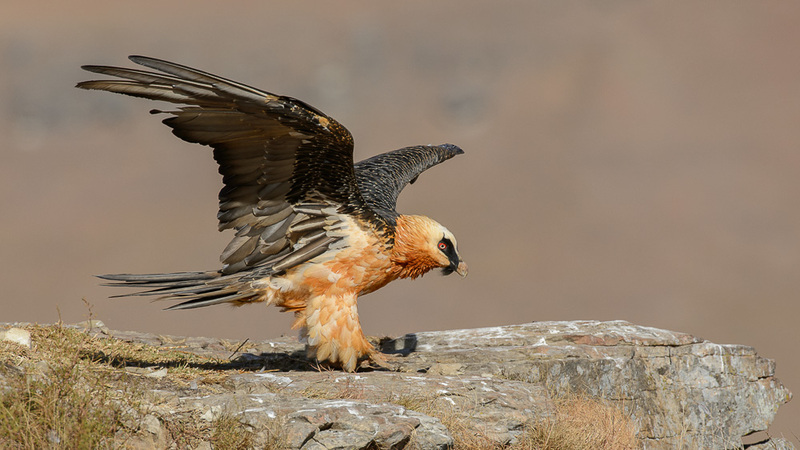 Due to persistant threats, restricted habitat and dwindling population numbers, the Bearded Vulture has been classified as ‘critically endangered’, with only 350 individual birds and 109 breeding pairs remaining. 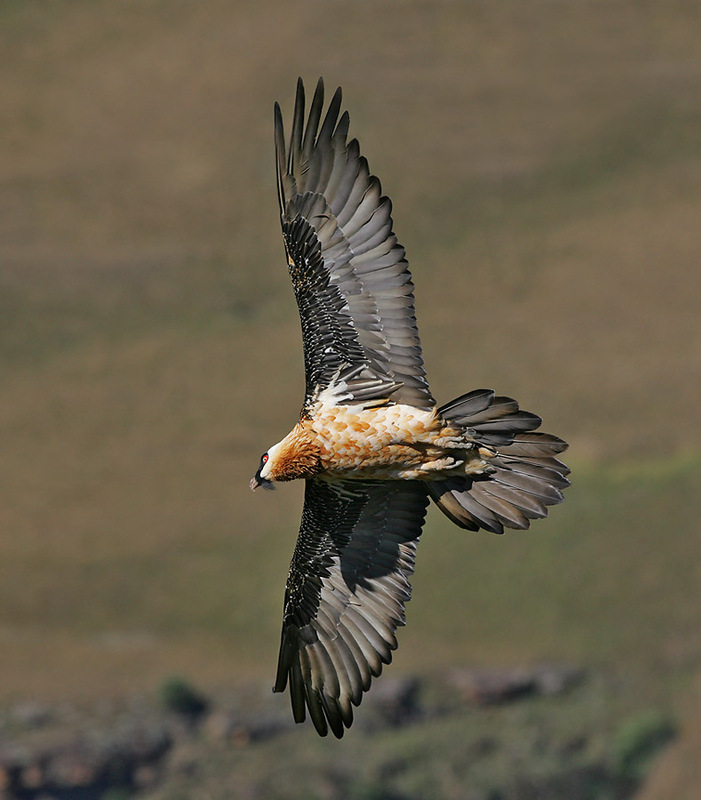 The Bearded Vulture is an integral component of the environment, performing an essential ecological role as a scavenger. They are an economical way of disposing of carcasses and in doing so they limit the spread of disease. 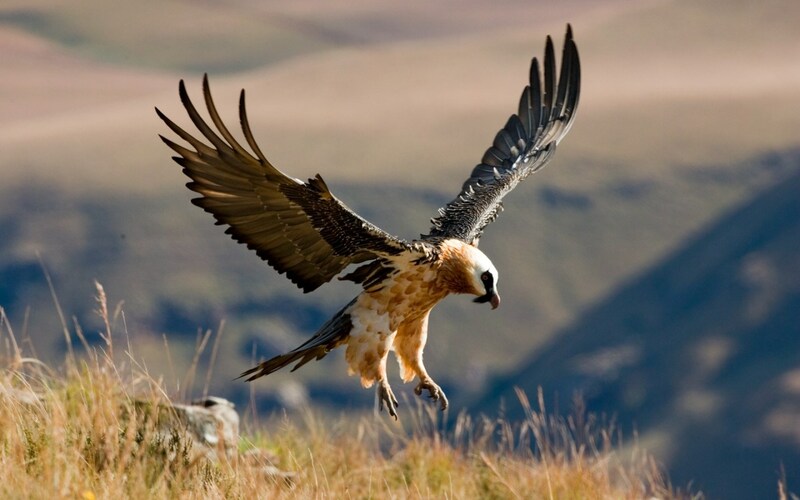 The Bearded Vulture is a spectacular sight in its own right and plays a role in generating tourism revenue. Apart from its aesthetic value, the Bearded Vulture also has spiritual and cultural values in that they have played a role in many cultures over the centuries, for example ancient Egyptians, Buddhists. Bearded Vultures are an important part of the natural ecosystem and national heritage that need to be protected for future generations. With adults weighing in at 6kg, a wingspan of 2.6 metres, striking plumage, red eyes and long, diamond-shaped tails, it is easy to see how these birds acquired the name ‘Monarchs of the Mountains’. 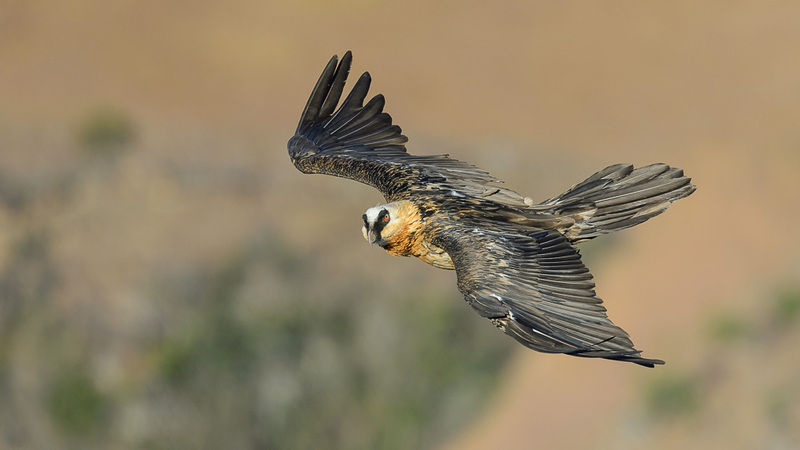 Bearded Vultures have suffered more than a 27% decline in breeding territory in the past few decades. The main threats facing the population include persecution for use in traditional medicine, accidental poisoning through feeding on bait left for predators, collisions with powerlines and electrocution on cables. Extensive research and monitoring projects have been ongoing since 2000 in order to determine population trends, habitat use, movement patterns and causes of mortality. Meet the birds included in the project here. Many of the factors threatening Bearded Vultures today are human induced and in order for this species to survive, implemented education and public awareness objectives must lead to attitude and behaviour change. 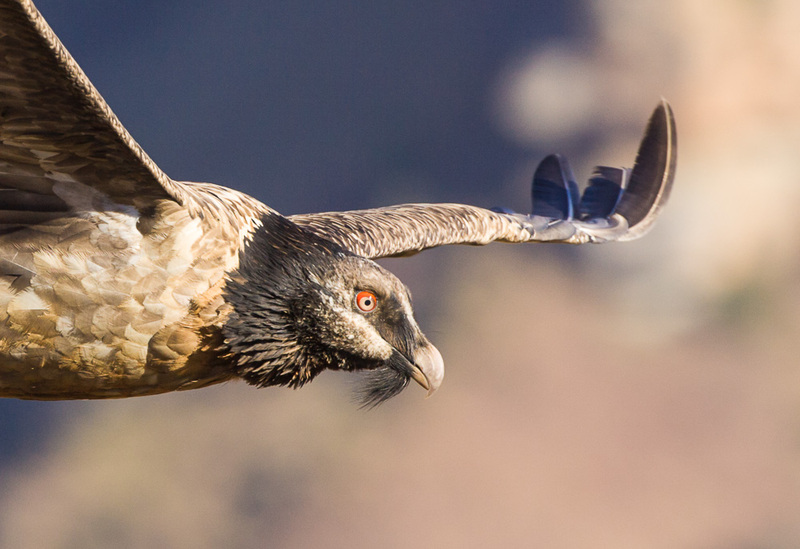 A project goal therefore, is to create a general public that is not only informed about Bearded Vultures, but appreciative enough of the species to want to take active part in their custodianship. While this may be an extremely challenging aspiration, the iconic nature of the Bearded Vulture and its unique characteristics make it certainly worthy of the attempt.